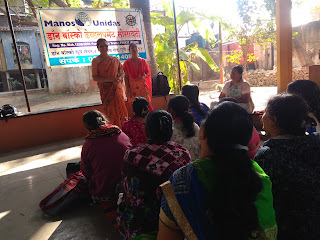 Koregaon Park (Pune), 10-January-2019: The Don Bosco Development Society, Koregaon Park organized a health awareness session for the women Self-Help Group (SHG) members in Bopodi slum. 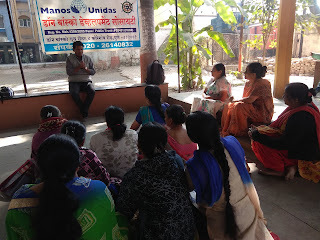 20 women participated in this programme held under the aegis of ‘Women Empowerment Project’ supported by Manos Unidas, Spain. 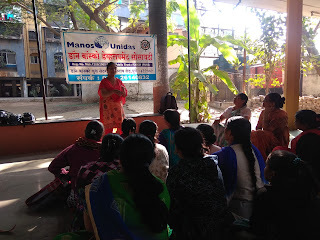 Ms. Nilima Chandhere (DBDS-Trainer) conducted the health session for SHG women. 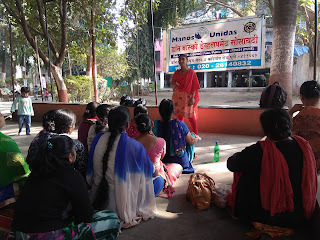 She explained the health issues related to women such as hygiene, diet, stress, life style, domestic work, family duties, HIV, STDs etc. She also explained the Mahatma Phule Jeevan Arogya Yojana. Program ended with the vote of thanks by Mr. Nagsen Chavan (DBDS-Coordinator).